Put the finishing touch on your tailgating, graduation party, game day party, send-off party, or birthday party with the FANPANs muffin or cupcake pans! 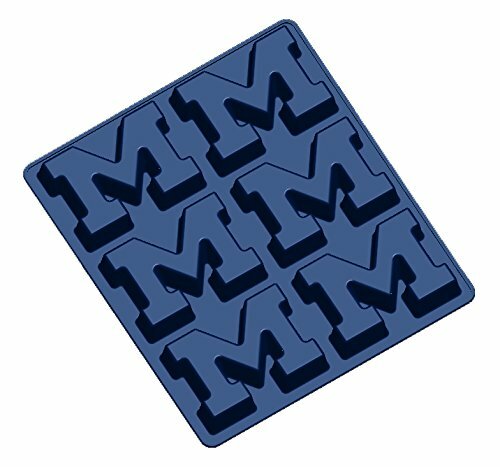 the FDA approved food-grade silicone muffin or cupcake pan is officially licensed and features the school color and shape of your favorite team logo. each muffin/cupcake pan has 6 cavities. Make individual muffins or quiches for morning celebrations, cupcakes or cookies for sweet afternoon treats. serve your favorite dips in style. use your imagination! what makes our product unique, in addition to the logo shapes, is their versatility. because they can withstand such a range of temperatures, from -76 degrees to 450 degrees Fahrenheit, the possibilities are endless. FANPANs can be used to make muffins, cupcakes, Mini quiches, cookies, gelatin, dips, or even large ice cubes for the punch Bowl. the possibilities are endless. If you have any questions about this product by Fanpans, contact us by completing and submitting the form below. If you are looking for a specif part number, please include it with your message.